Susan McCrossin, B. APP. SC. One of the most common factors associated with learning problems is a “blocked” Corpus Callosum, the site of hemispheric integration. A blocked Corpus Callosum also generally results in poorly developed access to Gestalt or Logic functions. An even more important, yet often unknown factor affecting learning, is a profound deep level confusion in mental processing which we term “Deep-Level Switching”. In people with Deep-Level Switching, their brain confuses the location of their Gestalt and Logic processes causing massive processing problems as information is often routed to the wrong cerebral hemisphere for processing. While Right-Left, Deep-Level Switching may profoundly affect, our academic learning, Top-Bottom and Front-Back, Deep-Level Switching can have equally profound effects on learning “life’s lessons”. Unless this “Deep-Level Switching” is resolved and the “blocked Corpus Callosum, ” cleared, people can never realize their true learning or human potential. A number of kinesiological techniques and acupressure techniques can help reintegrate brain function at the electromagnetic, neurological and emotional levels. For those who have long-term, ongoing loss of brain integration resulting from experiences traumatic enough to permanently shut down part, or most of the communication across the corpus callosum, or who experience the massive brain confusion that we call deep level switching, more specific ic and direct interventions are required. The Learning Enhancement Advanced Program (LEAP) protocol can help address these imbalances. This article addresses these issues based on the research and experience of Charles T. Krebs, Ph.D. from Australia and Susan McCrossin, B. APP. SC. from the U.S. Mental processing of activities seems to take place in the most ancient part of the brain, in the limbic system, with its various nuclei and the paleocortex. 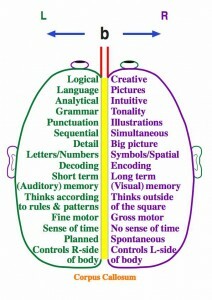 The brain, using hierarchical processing, determines how information is sent, stored or retrieved. With learning disorders some processes seem to go off-line. 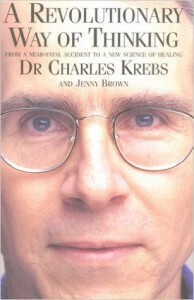 Dr. Krebs surmised that the brain processes in a modular fashion. If one of the antecedent functions were compromised, all the processes dependent on that function would also show deficits. A way to unlock the processing sequences was needed. Applied physiology and kinesiology interacts with on-line brain processing, and allows the integrity of modular or sequential brain functions to be directly assessed. Using only a few specific muscle tests, whole configurations of brain functions such as the integration of visual processes, can be accurately discerned. Stress or dysfunction in mental processing can be easily detected by monitoring muscle response in conjunction with the activation of specific acu-points, either singularly or in combination. Whenever any factor disrupts coherent homeostatic muscle proprioception (feedback), a locked muscle may suddenly weaken or unlock, indication that this factor is acting as a stress in the muscle feedback system. Thus using only a few specific muscle tests, whole configurations of brain functions such as the integration of visual processes, can be accurately discerned. For a full discussion of Kinesiology and muscle response testing you are referred to Dr. Kreb’s book, “A Revolutionary Way of Thinking: From a Near Fatal Accident to a New Science of Healing”‘. Applied physiology techniques for brain physiology formatting, developed by Richard Utt of the International Institute Of Applied Physiology, Tucson, AZ, provided the guidelines for the primary neurological processing modules and a basic format to access them. Utt showed that by focusing on the physiology of the brain itself, the readout of brain function would often show up as a pattern of acu-point activity instead of single active acu-points. Once the pattern of stress, as indicated by a pattern of acu-point activity, was detected by muscle response testing, factors causing that stress could be pinpointed, and kinesiological and acupressure techniques could be applied to normalize the area. Thus, in the case of dysfunction in communication across the corpus callosum, as soon as the stress, or stresses that caused shutdown of functions were resolved, processes vital to learning could come back on-line. Magnetic Resonance Imaging (MRI) and other techniques revealed that in all but one of sixty one cases not responding to LEAP treatment, the underlying cause of learning problems was organic brain damage.” Brain damage can occur before, during or after birth even from a blow on the head, oxygen deprivation or seizures. As long as the affected areas are either small, or in a non-critical centre of function, the brain is able to compensate but may function less efficiently. If damage occurs to a critical structure, like the left hippocampus, problems in the auditory or short-term memory processing develop. These processing functions weren’t changed, because pre and post-testing of Weschler Intelligence digit-span test, a standard measure of auditory short-term memory, remained the same for these brain damaged individuals. In cases not involving organic damage, hippocampal function can usually be restored via acupressure treatment. In several hundred cases psychometric post testing has shown a return to the normal range of auditory short-term memory and even more importantly, a child was from then on able to remember spelling of words and retain multiplication tables’. For example, consider a 12 year old girl with a digit span of only 3 digits forward and 2 digits backwards. This low functioning would place her in the lowest percentile of same-age children for auditory, short- term memory function, and was thus having extreme difficulty at school as she had basically no short-term memory. After applying hippocampal formatting techniques, she improved to the 50th percentile for children her age. She had gone from practically no useful function to average ability for her age. She could now access enough short-term memory to learn spelling words, and for the first time in her life, could recall her multiplication tables even weeks after learning them. She improved from the 25th percentile in innate reasoning capacity to the 99.81 percentile following treatment. Literally, she went from the bottom of her class to the top of her class in six months. Learning is a voluntary activity. Even if you have optimal brain integration you may choose not to use it for a variety of personal and emotional reasons. Teenage boys can be some of the least satisfying clients because in many cases they are brought to treatment under protest. Even if these teenagers currently choose not to take advantage of their new state of integrated brain function, reintegration does give them one big advantage: they now genuinely have the ability to develop a function if they want to use it in the future. Before integration they had little chance of developing these function. For example, during a follow-up visit after completing the brain integration program with a 15-year-old, his mother reported that his spelling had shown no improvement. He was then checked for his ability to learn to spell words, which he easily demonstrated. He was then asked to spell some words he had learned as part of the program months before. Again there was no problem. He had demonstrated his ability to learn to spell any word quite easily and to remember it, but he was just choosing not to do so at this time and for his own reasons. The integration was showing up elsewhere: He now had 70% accuracy shooting baskets in basketball. Prior to treatment he had been shooting with 20-30% accuracy. An encouraging counterpoint to that case was the case of a 16-year- old boy who passionately loved reading and who was desperate to be able to spell well. He came for integration and in the two weeks following the correction of his spelling functions he mastered 150 words that had always given him problems. At his next appointment, he bought in a list of the 50 most difficult words and asked to be tested on them. He got all but one right. Six months on, he had no spelling problems of any note and continued to be highly motivated to succeed in an area where he had previously experienced only failure. An EEG allows scientists to look at the patterns of electrical activity generated by the cortex of the brain when it is performing an activity. Traditional forms of EEG, using only three reference points, were inconsistent, showing a varying degree of correlation between the type of mental task and the areas of the cortex showing activity, How were the researchers to distinguish if activity was due to the stimulus they were initiating, or some other brain activity, such as random thoughts? A study was made by McCrossin with five learning-disabled adults ranging in age from 18 to 45. Primarily, they reported reading comprehension and short-term memory problems. The study concentrated on a new EEG method known as Steady-State Visually Evoked Potential (SSVEP). In this SSVEP technique 64 electrodes are placed on the scalp, covering all processing areas of the cortex. In this way, specific areas of cortical activity can be identified, particularly against the constant stimulus of a flashing light. When the data from the electrodes is fed into a powerful computer, detailed maps of cortical activity can be constructed. While being SSVEP scanned, if a person is asked to consciously do a particular mental task, he will automatically activate specific brain areas related to the performance of that task. In the area that is active, the SSVEP signal is reduced and the degree of reduction is proportional to the degree of activation of that area. An activation map of the brain was drawn. In a previous study comparing children with Attention Deficit Disorder (ADD) to normal subjects on two different mental tasks, the SSVEP patterns of these two groups showed significant differences. When normal subjects were doing a purely visual task, observing a computer monitor displaying numbers, their brains showed activity predominantly in the occipital lobes in the back of the brain, where visual image formation takes place. When they were then asked to anticipate, or pay attention to a particular signal, their cortical activity switched to the frontal lobes, the area of the brain involved in attentional tasks. In ADD children, the brain activity did not change. Activity remained predominantly in the occipital lobes even when they were paying attention. Children with ADD or adults with learning problems often just watch their world and react to whatever happens with little anticipation of what might occur because they cannot activate the brain areas involved in “paying attention” which is required for anticipating outcomes. Likewise, since prefrontal activity is also required for “planned” decision-making, and there is little prefrontal activity when people with ADD and learning problems make decisions, it would appear that these decisions must depend more on “reaction” to stimuli than on planned actions based on considered decisions. Along with these changes in cortical activity, after LEAP there was concomitant improvement in the adult subjects digit span and reading comprehension. Before integration, the reading comprehension of the group had varied from 33 per cent to zero, after LEAP all had 100% comprehension. On the digit span test, all subjects changed from being marginal or borderline in their function to being above-average. Changes in both these mental functions is supported by the significant changes in cortical activity observed in the SSVEP results. Intelligence has been defined as being composed of two distinct aspects: “fluid” and “crystalline” intelligence”. Fluid intelligence is the capacity to perform abstract reasoning which involves “native” intelligence and is thought to be unaffected by formal education. This includes the ability to solve puzzles, memorize a series of arbitrary items such as words or numbers, as well as the ability to change problem- solving strategies easily and flexibly. Crystalline intelligence, on the other hand, comprises the abilities that depend upon knowledge and experience or the amount of stored factual knowledge such as vocabulary and general information. 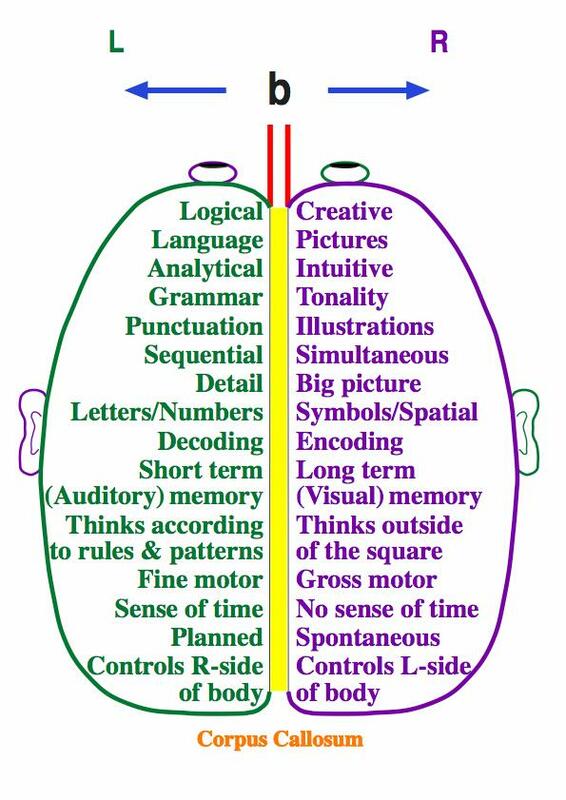 A number of standardized intelligence tests like the Wechsler Intelligence Scale of Children (WISC) and Stanford Binet Intelligence Test, have been developed to measure various aspects of cognitive function. Regardless of whether these psychometric tests measure “intelligence” or not, they do provide a standard assessment of performance in a variety of cognitively demanding tasks. In a second study by McCrossin, three standardized tests of fluid intelligence were chosen to help measure intelligence: the WISC Block Design subtest, the Kaufmann Matrices and Inspection Time”. The subjects were also tested on short-term memory and reading comprehension. The WISC digit span subtest was used as a measure of short-term memory, retrieval and distractibility. The Neale Analysis of Reading, a standardized test to assess reading comprehension, was also applied. Twenty children were initially assessed on the five psychometric tests and then were retested six to eight weeks later. In the intervening period the ten children in the treatment group had the complete LEAP protocol performed on them. The ten children in the control group received no treatment, but were retested at the end of the study. Empirical observation and scientific validation of these tests show that fluid intelligence generally does not improve over time”. From this data it has been assumed that a person’s past and future performance will be the same (or, allowing for growth, will hold their relative position amongst their peers). This appears to hold true for children with learning disorders even when they have received extensive remediation. The McCrossin study found statistically significant improvements in all of the tests of fluid intelligence between the pre- and post-tests for the treatment group”. No changes occurred in the performance of the control group. The LEAP protocol was shown to be capable of changing the innate reasoning capacity of these children. It was capable of affecting profound changes including the demonstrable ability to apply flexible strategies to solve problems. The complex task of digit-span (short-term memory and attention) also showed significant differences before and after treatment between the two groups. There was an increase in the forward digit span from 4.8 (before treatment) to 6.2 (after treatment) and an increase in the backwards digit span from an average of 3.1 (before) to 5.5 (after). Since the average adult digit span is six forwards and five backwards these children had clearly improved from a deficit in this vital function to “above normal” 14. With the LEAP program, problem areas within the brain can be detected and corrections can be made to enhance reading, motor coordination, visual perception and psycho-neural responses. Some children who come to the LEAP program are classified as hyperactive and taking Ritalin to control it. Often when a child is going through the brain integration program of a LEAP, these children will calm down and maintain this state even after withdrawal from Ritalin. Parents often report that LEAP has resolved the child’s hyperactivity. The LEAP protocol has such potential for improving the lives of so many children and adults, extensive testing by a major medical school or other research facility would seem to be a worthwhile investment. Madonna’s comment: I have been using the LEAP programme in my clinic for over 10 years. We currently have 3 LEAP Practitioners in our clinic, as I see it as a core method in supporting people’s health and wellbeing along with helping memory, learning and children’s anxiety about attending school and exams. ADD, ADHD, Autism, Aspergers, Memory Loss… is your brain inflamed? But does it feel like there’s nothing that can be done? Medically it’s a matter of give this drug (a calming down drug) in the morning and this drug (another calming down drug) at night… not to mention the side-effects and family stress associated with the problems of these conditions. There are some things we can do immediately to start the process of reducing the inflammation in the brain! Kinesiology helps us target the correct things for you and your family – not everyone needs every intervention, and that would be exhausting! Salicylate Sensitivity: often in kids with nasal allergies, red rashes. Salicylates are an aspirin-like substance that thin the blood (the liver, the skin, the gut – in susceptible people) and can cause huge problems where there’s an issue. Sugars, fructose, glucose issues: many kids don’t have an ability to break down sugars properly. Kids foods are soooooo linked with sugars these days, all the pre-packaged spreads and biscuis, tiny teddies, fruit juices, cereals, muffins… If there is ‘insulin resistance’ the body is not getting the sugar into the cells, insulin is floating around outside the cells – yep, creating more inflammation! Auto-Immune Components: Through live blood screenings and kinesiology we can find out if there’s the possibility of an auto-immune condition affecting the brain. Current thinking with Autism (particularly) is that an old staph/strep infection is affecting the basal ganglia in the brain, directly affecting moods, behaviour and how we interact with our world around us. LEAP Kinesiology: is a specific process done at New Leaf Natural Therapies that re-integrates the pathways of the brain. The more toxic the brain is (the more inflammation, insulin, opioid-like-substances, sugars, flavourings, colourings, preservatives) the more likely our brain pathways won’t be functioning properly. See if any of these problems sound familar for someone you love! Our Learning Enhancement Programme has been put together to get the best results and to save you $$$. Ask about our 9 month programme (standard length of time for ‘normal’ learning and behavioural issues). More complicated health problems take longer to resolve – but we’ll see how we’re going as we go through the sessions. You are currently browsing the archives for the learning enhancement programme category.